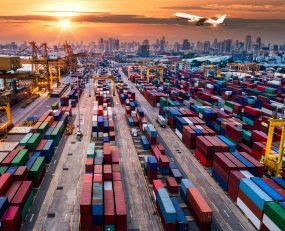 For what it is worth, the IMF is forecasting that annual global growth could be 0.5% less than its potential if world trade is disrupted by Donald Trump’s embryonic trade wars. Christine Lagarde, the head of the IMF, commented that her organisations analysis “certainly indicates the impact that it could have on GDP [gross domestic product], which in the worst case scenario under current measures … is in the range of 0.5 per cent of GDP on a global basis,”. The IMF is forecasting that the world’s economy will grow by 2.8% over the next year if trade barriers are not imposed. The US appears relaxed. Steve Mnuchin, the American Treasury Secretary, observed that the US economy was growing by 3% and that no “macro-effects” of the tariffs had been noticed. Certainly, the latest analysis from Drewry’s shipping consultants suggests that transpacific trade has not been affected with “the heady pace of annual growth in June for US imports …..to the East and Gulf coasts increased by a combined 19.5%”. It is hard to know what Donald Trump’s long-term objective of his trade policy is. Such lack of clarity is hardly a surprising negotiating tactic. However, he must have some sort of destination in mind. The problem is that patterns of global trade are dysfunctional because of inherent characteristics in the German, Chinese and Japanese economies on the one hand and the open nature of the US economy on the other. As one of the most insightful world trade economists, Michael Pettis observes, “The United States cannot engage in beggar-thy-neighbor policies…. as long as its capital markets remain wholly open, it cannot even take steps to reduce its trade deficit except by making it harder, or less attractive, for investors to bring money into the United States. Because the U.S. trade deficit is set wholly by the net amount of excess foreign savings it has to absorb”. So long as German and Chinese companies are politicians are willing to suppress domestic demand these imbalances will continue. This is not a situation that can be resolved quickly. Any tariffs will have unpredictable results. Michael Pettis also points out, disruption of one particular trade route will lead to displacement; “a 10 percent tariff on Chinese widgets, for instance, might cause Chinese widget sales to collapse, to be replaced by a surge in Korean widget sales”. This illustrates that contemporary world trade is dominated by supply chain networks rather than two-directional trading relationships. So, trade surpluses are likely to continue and therefore trade friction is likely to continue. Logistics companies will just have to accept these events as a fact of life rather than an exception and look to exploit the unpredictable results. The good news is that in the long-term there is considerable suppressed consumer demand in many economies and this ought to lead to higher trade growth, when and if the politicians take necessary action.